Apple took the wraps off iOS 9 at its annual Worldwide Developers Conference keynote, and as rumors suggested, there wasn’t very much to talk about in terms of new features. This release is intended to improve the user experience in terms of security, stability, and overall polish. Much of what was rumored before the launch turned out to be accurate. Even so, there are some major changes that will make the iPhone and iPad usage experience very different. 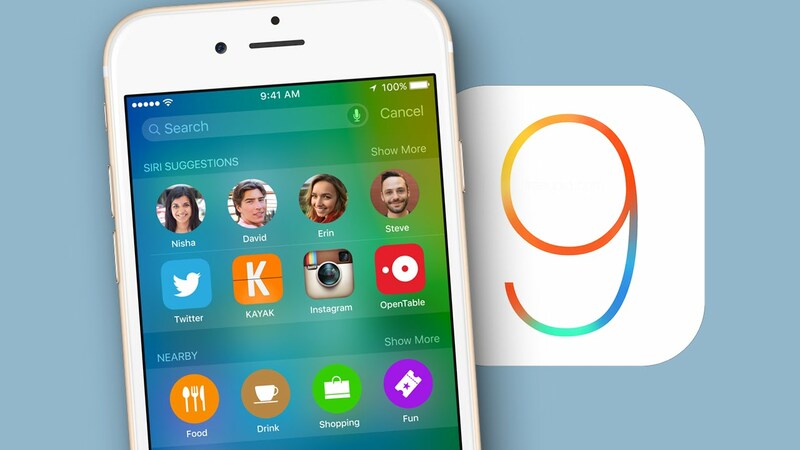 Apple’s message is that iOS 9 will add intelligence to users’ day-to-day lives. The keyboard now shows lowercase characters to help you determine when Caps Lock is and isn’t engaged. A new shortcut bar makes it easier to use formatting, clipboard functionality and more. Swiping around the keyboard area with two fingers will let you move the text cursor around and select text quickly. Physical keyboard accessories will be able to implement shortcuts for multitasking and searching. Apps will be able to have their own shortcuts as well. The spotlight is also proactive, with a full-screen interface that shows suggested contacts (again based on patterns), apps that you’re likely to require, localized news snippets, and places of interest nearby. Search results will include information from within third-party apps. You can also call up sports scores, unit conversions, and weather forecasts. Siri will be able to process granular contextual cues. You can ask it to show you photos and videos taken in specific places or at events such as someone’s birthday party. You can set reminders that trigger messages or notes. Apple also promises speed and accuracy improvements. Apple with iOS 9 brings true multitasking to the iPad, though this is no surprise thanks to multiple leaks and rumors. A new app switcher interface will let iPad Air 2 owners run two apps side by side, while owners of older models will be able to quickly call up apps as narrow overlays on one side of the screen, get tasks done, and then return to what they were doing before. This could be a great way to look up information, reply to messages, or just check in on updates. Yet another option is available for video apps: you can have video, including FaceTime conversations, continue running in a floating Picture-in-Picture window while another app runs full-screen behind it. One of the most visible new touches in iOS 9 will be the News app, the feed reader that combines magazine, newspaper and blog content and presents it with layouts that match the branding and style of the original sources. News will ask about your interests and preferred sources but will offer fine-grained suggestions beyond those. There will be embedded videos, galleries, infographics and live content. Publishers will be able to set limits on how much content a user can read for free. Passbook morphs into Wallet and takes on new functions that tie in with Apple Pay and the Apple Watch. It will be able to manage store-specific credit cards as well as loyalty and rewards schemes so that you can whip them when necessary. Maps will also highlight businesses that accept Apple Pay as a payment method. You’ll now have a six-digit passcode when you use TouchID, and there’s also two-factor authentication for those who want to make sure that no one gains access to their iCloud account on an unauthorized device. Despite all the emphasis on iOS learning your patterns and habits, Apple insists that no such information is collected or shared with third parties. This means privacy is assured without compromising on features that learn all about you. Apple promises that iOS 9 is more nimble, thanks to the Metal graphics API that allow apps to make more efficient use of the CPU and GPU. Graphics render faster and animations should be more natural. Better power management could result in up to an extra hour of battery life per charge. iPhones now know not to light up the screen if notifications come in when they’re lying face down. A power saving mode can give you up to three more hours of life by throttling background tasks.